From beautiful mountain landscapes to stunning temples, Chiang Mai definitely has a lot to offer for locals and tourists alike. Strict alcohol laws and enforced closing times at midnight however don’t make Chiang Mai the first destination in Thailand that comes to mind when thinking about nightlife. 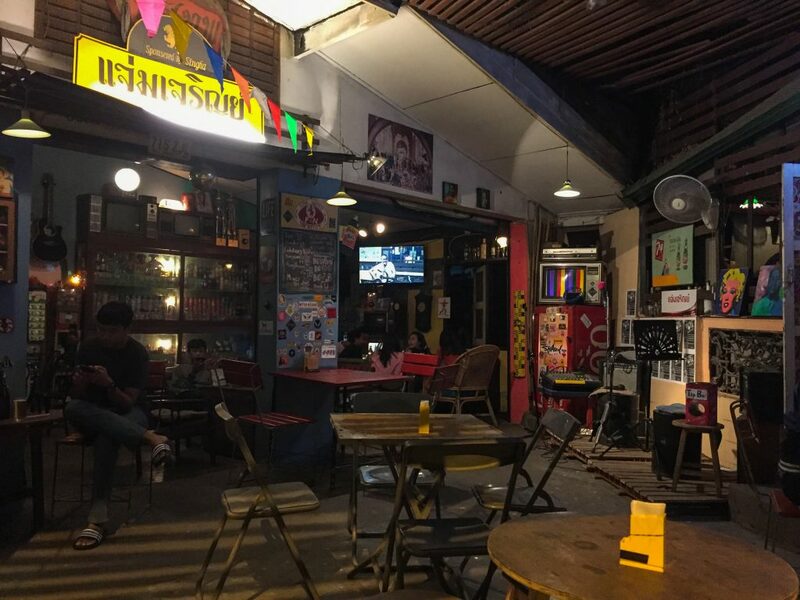 If you find yourself in the city and want to go out for a beer or two, this guide will help you to make nightlife in Chiang Mai worthwhile for you. If you just want to end your day with a drink, Chiang Mai has a wide variety of different venues to offer. Explore the fancy Nimmanahaeminda Road for upper-range bars that serve cocktails and expensive, imported beers or take a stroll around the east side of the Old City for bars that mostly cater the backpacking crowd. Last but not least, you can also visit Loi Kroh Road, in the red light district of Chiang Mai, for places that are a little more raunchy. The decoration at Vintage Chiang Mai is indeed vintage! A small bar that mostly caters to a young, local audience. Vintage Chiang Mai’s decor is – like the name says – vintage with the charm of small bars in Berlin Kreuzberg. Old TV sets, collectibles and coke bottles from the olden days make the atmosphere cozy and warm. 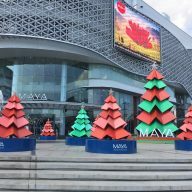 The music is mostly Thai pop, sometimes acoustic versions of Thai and international songs by local artists. It’s one of my favourite places in Chiang Mai to drink a cold beer far away from the tourist crowds. Vintage Chiang Mai has recently moved to a new location so the photos are not 100% representative of the new place. However, they’ve kept a lot of the old inventory to keep up the same vibe. Check out their Facebook page to find out more. Everyone loves a good beer and even if you are in Thailand, you are not limited only to the local brews. Nimman Road is plastered with beer bars that serve imported beers from all over the world for those who are willing to spend a little more money. One of the most popular ones is Beer Republic. With a wide range of Belgian and German beers amongst others, this bar will make your heart go faster if you consider yourself a beer “connaisseur”. 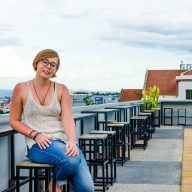 This lesser known rooftop bar in Chiang Mai does not have to hide behind its more popular sisters at Maya Mall or the THC rooftop bar at Thapae Gate, that is famous amongst backpackers. 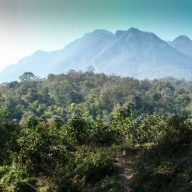 CNX offers great views of the Suthep Mountain and the Old City and serves both drinks and delicious food at its location near the West Gate. It’s the perfect spot for a romantic dinner with your SO while enjoying the sunset. If you ever wanted to go to a place before it was cool, now is your chance. We Didn’t Land on the Moon is owned by a member of Chiang Mai’s all-girls rock band “Itchy Band”, and if you will find one thing here, then it’s a good selection of music. Having Shazam installed on your phone will be very helpful to track the great tunes that are being played here. The interior is kept very basic and the overall white walls give it a very sterile look, that is reminiscent of an art gallery. 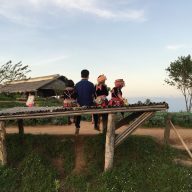 The venue is a little bit off the beaten track since it’s located in a small, hidden Soi in the Santitham area but once found it, you will definitely come back. Dance clubs are a very rare thing to find in Chiang Mai because of the enforced closing times at midnight. A few clubs have closed during the last years and the remaining ones are not found in one location but scattered across town. If you don’t like Electronic Dance Music, you can choose between many of venues that have live bands playing reggae, pop or even jazz music. 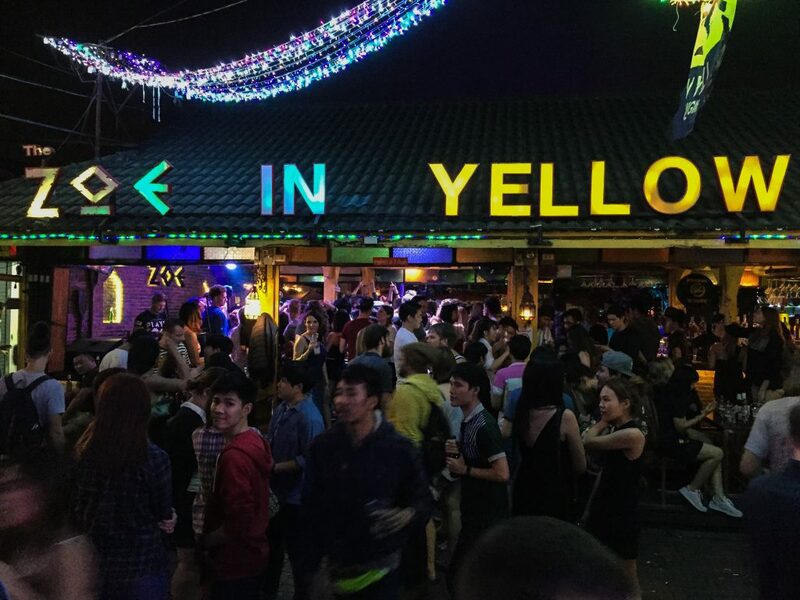 Zoe in Yellow is almost always crowded with both Thais and foreigners. The go-to place for everyone who wants a Kohpangan-esque party experience in Chiang Mai. Lots of young people come here to dance into the night to loud electronic music while drinking buckets of cheap alcoholic drinks. Zoe in Yellow is actually only one of a hand full of bars at the former Boon Yoo market. 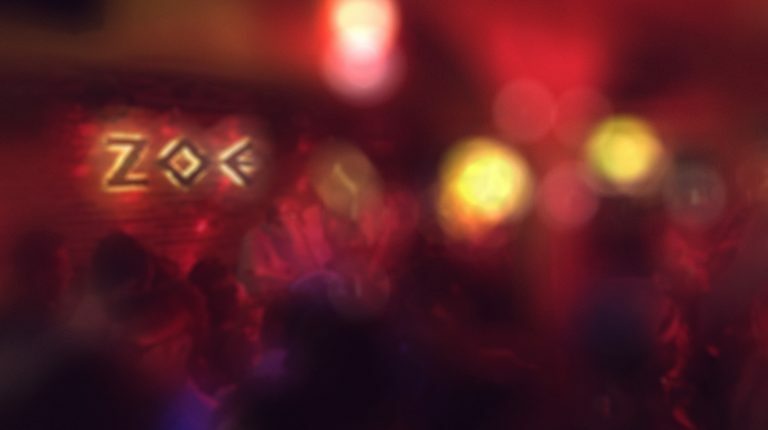 The area hosts a variety of bars that cater to various peer groups. Fans of rock music will enjoy head banging at Pentatonic Rock Bar, while Reggae lovers get their fix at Roots Rock Reggae Bar. Also worth mentioning is the small Havana Saloon, where owner Eddie and his wife serve delicious drinks at fair prices and in a less crowded atmosphere as you would find at Zoe in Yellow. Probably one of the most popular venues amongst young Thais. 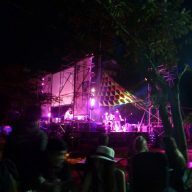 Warm Up is famous for top-notch live music and has served as a springboard for many famous Thai bands. Musicians of famous Thai bands such as Bodyslam can sometimes be spotted having a drink here. You can dance to covers of both Thai and international pop music in front of the stage, move inside the club area where DJs play electronic music or grab a cocktail and relax on the more quiet patio. Good to know: The bouncers at Warm Up sometimes rigorously check for ID cards. Be sure to have either your passport or a copy of it on you, if you don’t want to be sent back home. We have found that sometimes it doesn’t matter if you ‘look’ old enough, so better be safe than sorry. Bus Bar has become more and more popular because of its secluded location at the Ping River, just next to Nawarat Bridge. It is surrounded by old buses that serve as booths to order your drinks from. The music starts off with changing live bands, that play both Thai and international pop music. Later at night, when the music changes to Electronic Dance Music, people start hitting the dance floor. 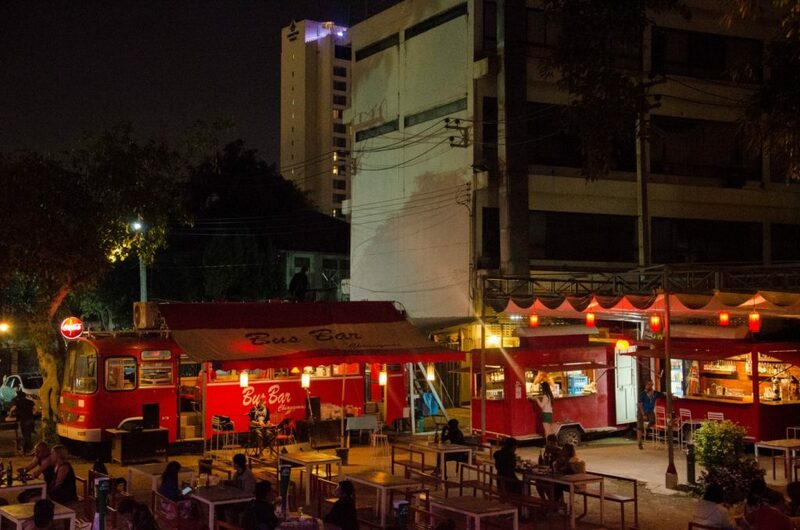 Good to know: Bus Bar is one of the best places in town to watch the spectacle at night during Loy Krathong (Yi Peng), the famous Lantern Festival in Chiang Mai. You can bring your own lanters and “krathongs” and set them free alongside the river. Even if you are not a fan of Jazz music, you need to pay this place a visit. The Northgate Jazz Co-Op is one of the most famous venues amongst expats in Chiang Mai. Some of the musicians who play here have worked with and gotten highly influenced by American Jazz legend Sun Ra – and it shows. The Northgate Jazz Bar is almost always packed with people standing on the sidewalk or even the street to listen in to the best musicians in Chiang Mai working their magic. If you are a musician yourself, bring your instrument along on Tuesdays, when the club hosts its open-mic events. Although the police in Chiang Mai is very strict about closing hours, sometimes you can still be lucky and find a place or two that are open late. While there are a few bars that have kept doing this for a longer time, the list of after hour places changes quite frequently. Just ask around at midnight when the club or bar you’re at is closing down. Knowledge of after hour places often gets exchanged via word of mouth and fellow travellers or expats often happily take you by the hand and take to a bar that’s still open.